UTV Services Broussard | Vehicle Parts | Quad Master, LLC. A well-maintained ATV and UTV can help provide you an unforgettable outdoor driving experience. If your vehicle is showing signs of damage or inefficiency, head over to Quad Master, LLC. in Broussard, LA. We offer a comprehensive range of ATV and UTV services as well as quality vehicle parts and accessories for your specific needs. Authorized service and warranty from Massimo. Each ATV and UTV repair is unique and requires special attention and precision. When you choose our team of professional mechanics, you are making the right choice. Our mechanics are well-trained and experienced in all aspects of repair and maintenance with an emphasis on engine systems and general repairs. 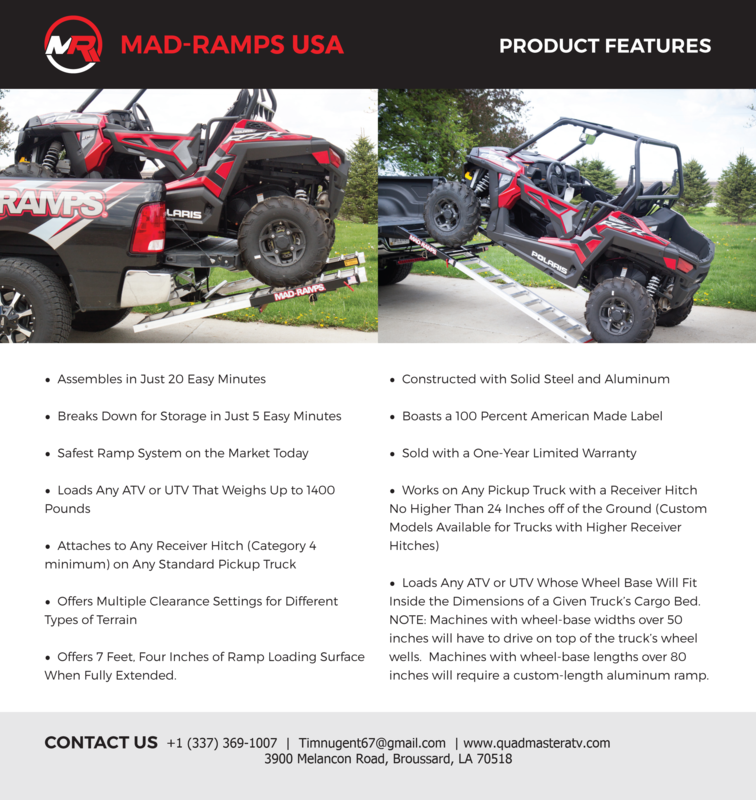 Apart from being an ATV and UTV service provider, we are also an authorized dealer of Mad Ramps USA and Massimo-service, repair, and warranty. Our vehicle parts and accessories are available when you visit our shop today. For more details, feel free to contact our ATV specialists. We hope to hear from you soon!